The depths of the ocean await you in this awesome environment of Deep Riches. The 5 reels online slot game with 20 winlines and the chance of deep riches under the waves. Journey to the bottom of the sea where there are treasures abound for those who dare to explore this undiscovered world of wonder. With a host of bonus features and colourful, eye-catching graphics, Deep Riches Slots Games from CORE Gaming is sure to have players cashing in in an underwater paradise. CORE Gaming, based in Solihull, UK, is a world leader in the development of online gambling games specially produced to enhance the user experience on all of the most popular mobile devices, operating systems and browsers currently available. CORE has been successfully involved in the development and integration of a huge range of highly popular games for most of the major international operators and is currently developing a portfolio utilising vast industry knowledge and expertise in multiple platform integration and deployment. Titles include Carry on Camping, Captain Cashfall and Sean Kelly’s Storage Auctions. Get the best out of deposit bonuses for slots before you play the game! 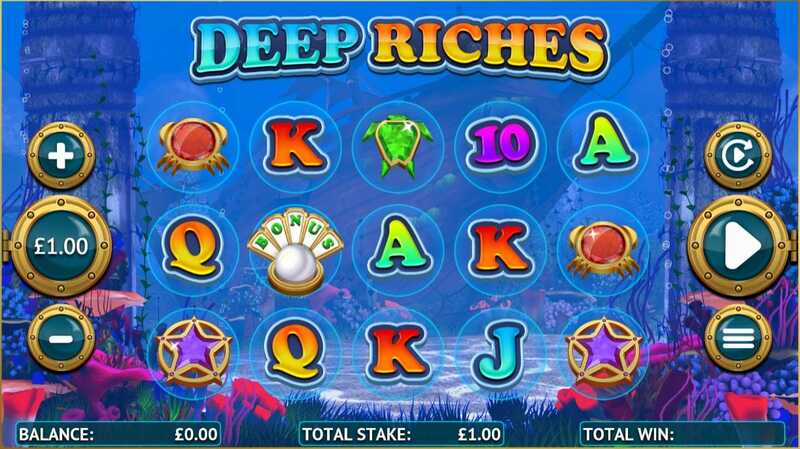 Deep Riches is a 5 reel, 20 winline slot game with familiar features and colourful surprises. As well as the usual symbols of 10, J, Q, K and A, players can match up colourful jewels shaped like starfish, turtles and crabs while also looking out for wild and bonus symbols that are sure to enhance the gaming experience. Floating symbols – Throughout the game, special floating symbols may attach themselves to the reels. These act as modifiers and can help create extra winning combinations, though this is random and not always guaranteed. Wild Water – This feature can be activated during the game. When this happens, the floating symbols are turned into wilds, which will attach themselves to reels and may create connecting wins. Scatter symbols – 3 or more scatter symbols on any reel position in the game will trigger the Reef Bonus free spins feature. The more symbols that appear, the more free spins the player is entitled to. Pearl Clams – At points in the game 3 pearl clam shells will appear on screen and the player is entitled to pick one. 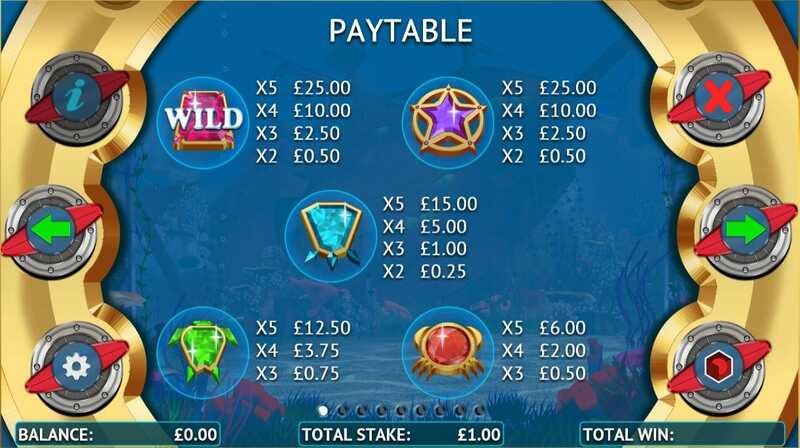 This then reveals the amount of free spins the player is entitled to in the Reef Bonus feature. Reef Bonus – During this feature, the floating symbols are turned to wilds and attach themselves to reels creating clumps of wilds and increasing better winning chances. Deep Riches has a Return to Player of 95.07%.